Prostate cancer is one of the major health problems facing my men worldwide. All over the world, it is the second most common type of cancer and the fifth leading cause of cancer-related death among males. In 2017, the American Cancer Society’s estimated that there were about 161,360 new cases of prostate cancer and about 26,730 deaths from prostate cancer. Prostate cancer is an important global health concern in Western countries and an emerging malignancy in developing nations. That’s why everyone should know how to avoid prostate cancer naturally. 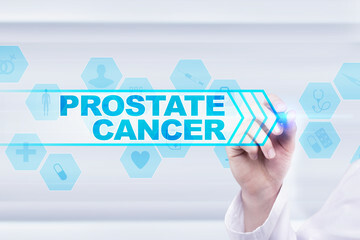 Admittedly, the precise causes of prostate has not been ascertained by researchers, and there’s hardly any tentative evidence that suggests a perfect prevention method for prostate cancer. However, they have many extensive studies carried out to determine some risk factors and habits that can help you avoid prostate cancer. If you’re wondering whether you at risk of prostate cancer, you should not just for how to prevent prostate cancer naturally, but also some risk factors associated with prostate cancer. This exactly what you will be learning today. Please read on. Risk factors are conditions which increase your likelihood of getting a particular disease. Some of these risk factors might not show you how to prevent prostate cancer naturally, because they might be unavoidable in some cases. • Older age: More than 99% of cases of prostate cancer occur in men above 50.
risk has been shown to be greater for men with an affected brother than for men with an affected father. cancer might be associated with lack of exercise. • Race: Weirdly so, prostate cancer risk is higher among black/African men than white or hispanic men. The reason why black or African American men have higher risk of prostate cancer is not really known. Many scientists have suggested that it is due to environmental or hormonal factors. • Dietary factors: Although the evidence is not tentative, certain dietary habits has been associated with increased prostate cancer risk. Some examples are, high meat consumption and low vitamin D in the body. Other factors like obesity, elevated testosterone and blood pressure levels also have been reported to increase the risk of prostate cancer. As I said earlier, there is no perfect strategy to prevent cancer naturally. But after considering these risk factors and as well as some in depth studies by scientists, medical professionals conclude that you can avoid prostate cancer naturally by living a healthy lifestyle. A lot of research suggests that you can prevent prostate cancer through diet and exercising, there also other ways too. In this article you’ll find out effective ways to prevent prostate cancer naturally, as well as proper scientific evidence that back them up. Let’s go ahead. Frequently eating cruciferous vegetables in your diet has been reported to lower prostate cancer risk. It is one of the few ways to avoid prostate cancer naturally. The American Cancer Society Guidelines on Nutrition and Physical Activity for Cancer Prevention said that consuming cruciferous vegetables can indeed help you avoid prostate cancer. This cruciferous vegetables include broccoli, kale, cauliflower, brussel sprouts, and cabbages. Others healthy foods that were recommended by the American Cancer Society was soy bean and legumes. They have been shown be my researchers to lower prostate cancer risk, especially more advanced cancers. Medical researchers suggests that a balanced vegetarian diet can help you prevent prostate cancer. priority for men of all ages. You can get adequate vitamin D from many fruits and vegetables, including early morning sunlight. Lycopene is a powerful antioxidant, it is a constituent of many foods that kill cancer cells. Hence, you should regularly consume foods that are rich in lycopene, what are they? Tomato, papaya, grapefruit, raspberries and watermelon. It is widely recommended that a diet rich in Omega-3 fatty acids will help you avoid prostate cancer. It is a better alternative to meat, which of course is not advisable. But there is very little evidence that proves that consuming more omega-3 fatty acid will decrease prostate cancer risk. Eating fish might lower the chances of a patient dying of prostate cancer but does not stop it from occurring. carbohydrates will lead to prostate cancer. However, you need to be in good weight in order to avoid prostate cancer naturally. And consuming high fats won’t help, so it is better to consume low fat diets so you can prevent it. Foods such as butter, cheese etc. should be avoided. Numerous research have indicated a connection between animal fats and an increased risk of prostate cancer. Avoid prostate cancer by consuming a low meat diet. There is also a substantial claim that dairy products, or diets high in calcium, with an increased risk of prostate cancer, but the chances are very low. 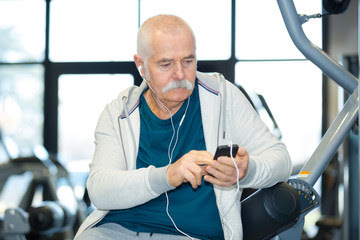 Men who engaged in physical activity have been proven to avoid prostate cancer better than men who don’t. This shows that you need to start exercising now. It is advisable that you engage in a measure of physical activity everyday and also lose weight. As shocking as it may seem, having multiple sexual partners might increase your risk of getting prostate cancer. How? Manifold research have claimed that having many sexual partners and even starting sexual activity early in life can increase your chances of getting prostate cancer. Apart from all these findings, people with sexually transmitted diseases like gonorrhea and chlamydia are at a higher risk of having prostate cancer. Well you know what to do. Smoking is very unhealthy, it has been linked to increase prostate cancer risk. 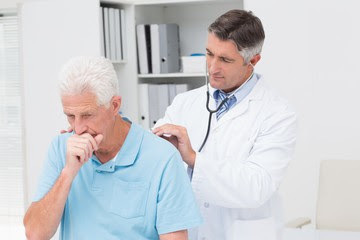 Patients with prostate cancer will likely develop the more aggressive form of the cancer or a recurrence of the malignancy if they don’t quit smoking. Cancer can advance or develop in varying ways, one of which is through over diagnosis. Many people might not actually have aggressive prostate cancer tumors, and then start diagnosing it overly, causing the cancer to advance. I’ll discuss the reason why over diagnosis might cause prostate cancer in details later, so please keep on reading my blog. Prostate Plusis a very effective drug that aids the body to combat and relieve the symptoms of an unhealthy prostate. It contains healthy natural herbal extracts that fight the prostate inflammation. It additionally enhances the overall health of the prostate. I recommend it, and you can get Prostate Plusnow at an affordable price. So I hope you have learned the risk factors that might lead to one developing prostate cancer, as well as how you can prevent prostate cancer naturally. Remember that a healthy lifestyle will keep you happy always. Thanks so much for taking out time to read. Please comment and share.